A couple of weeks ago, we reviewed Monsters in the Movies: 100 Years of Cinematic Nightmares and were blown away. This collection of hundreds of scary creatures, spanning a century of film, is a must-have for any horror fan or movie geek. From Amityville to Zombies, Monsters in the Movies has it all, including lots of insightful commentary and behind-the-scenes tidbits. Rather than trick you, GeekDad and our friends at DK Publishing want to offer you a very special treat. 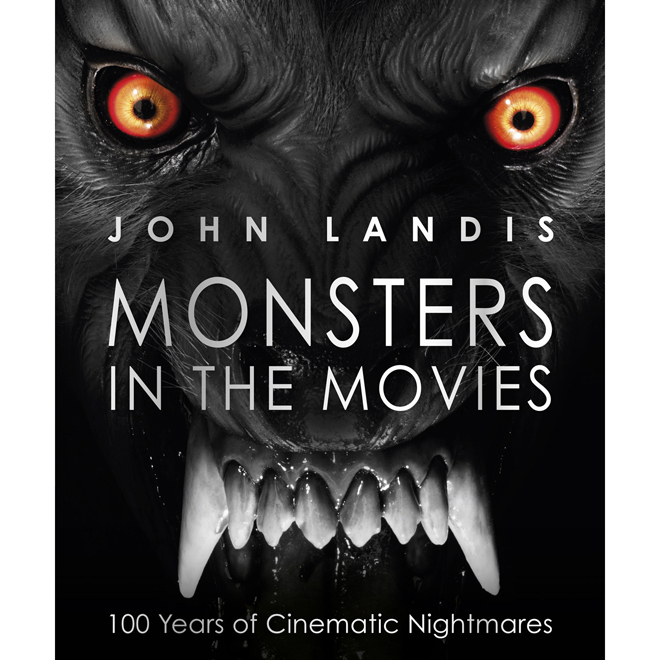 Leave a comment below and tell us your all-time favorite horror movie or monster and we’ll send a copy of Monsters in the Movies , autographed by author and Hollywood legend, John Landis, to five lucky winners. Until then, stay on the road, keep clear of the moors, and – most importantly – beware the moon, lads. Dave Banks is employed by Cyberdyne Systems and is building a global digital defense network. When not on the job, he enjoys playing games and watching cars go really, really fast. Follow @davebanks and @wiredgeekdad on Twitter.